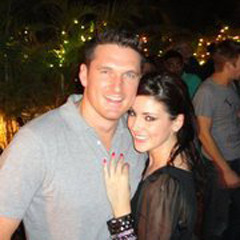 Cape Town - Proteas Test skipper Graeme Smith is to become a father for the second time, later in 2013. Smith confirmed the news that his wife, Morgan, was expecting their second child on Twitter on Monday. Great news to start the week.smith family growing quickly,myself and Morgs are expecting our 2nd child, 3 month scan done! Morgan Smith also took to Twitter to express her delight, writing: So excited to say we are expecting our second baby!!! !we re 3 months pregnant and feeling so blessed. Smith, who will turn 32 - and celebrate his 100th Test as captain in the first Test against Pakistan on Friday - has a daughter, Cadence, who was born in July 2012.